Oh the things you can create when you stop to smell the roses and other small things. This class will provide the foundation one needs to create stunning imagery out of everyday things by teaching students how to provide a close-up and macro view. With a mix of instruction and hands-on learning, one is surely to leave with some interesting shots. With a class size of 4 and 10 close-up photo stations, there will be more than enough to go around to provide students ample learning opportunities. 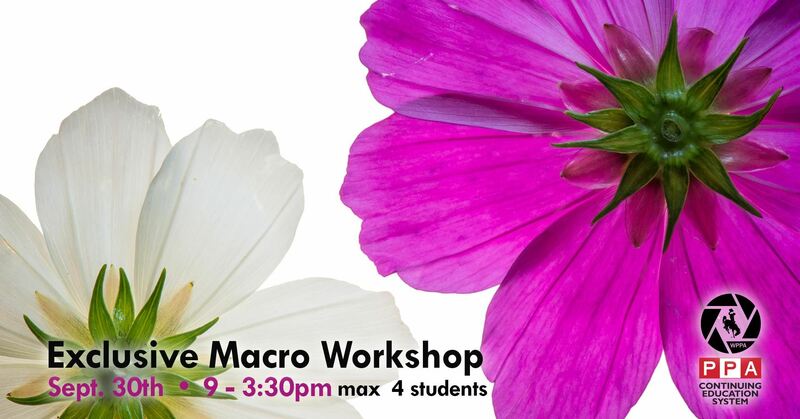 From doing true macro work, to learning how to photostack for maximum sharpness - this workshop is not to be missed! As an added bonus, at the end there will even be a chance to photograph water droplets using instructor's equipment with YOUR SD or CF card. Please bring your camera, macro lens (don’t have one? You can easily rent one from Lensrentals.com) tripod, cable release, pen and paper to this class. Don't have all that you need? Contact instructor at eljphoto@mac.com to get advise on purchasing or renting equipment for this workshop. Call 605-390-9531 to register for the class!